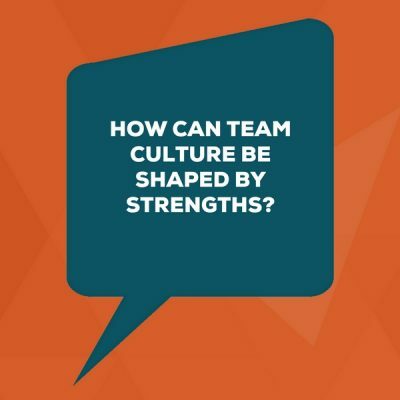 In this episode, Mike Ganino joins Lisa to answer the question: How can team culture be shaped by strengths? So, how is company culture shaped by your personal strengths and the overall lineup of natural talents on your team? If It Is So Important For Managers To Build Culture, Why Can I Only Find Articles About Offering Stand Up Desks And Pinball Machines – Perks That HR Offers? We love to talk about culture, write about it, read about it, and even watch the 2,000,000 videos on Youtube about it. We love to blame it, leverage it, and try to change it. We spend billions of dollars and a whole bunch of hours on employee engagement and culture improvement initiatives to try to improve it and yet we keep coming up empty. Is it really all about office fun slides, cold brew coffee on tap, and nap rooms? Do the rest of us have a chance at dipping into the power of culture without the budget of a tech giant who seems to print their own cash? If you’re managing a project, team, or division inside of a bigger organization, do you have any chance of fixing things if the wider organization isn’t promoting the kind of vibe you’re looking for? Before I answer all of those questions, let’s get clear on exactly what culture is and what it isn’t. Does The Physical Environment Create Culture? So culture is not about the stated values written in the handbook or hanging on a wall somewhere. It’s not about the mission that adorns the company website or the funky design of the open office floor plan. It’s not even about how often you get together for happy hours. It isn’t about making everyone happy all the time or being a pet-friendly workplace. Yeah, I get it. I love the idea of an office full of cuddly little Corgis as much as the next person, but I know it won’t help improve the business or the working conditions for the team. It’s possible to have a great culture even when the perks aren’t best in class. Yes, even when there aren’t fancy modern Norwegian looking desks all around. Sorry to break it to all those fun committees out there, but we don’t need another group picnic to have a great culture. Now I’m not saying that all of those things aren’t useful and aren’t helpful. I mean, the point of them should be in getting people to connect with each other. So if you are one of these fun committee folks out there, don’t despair — but I do want you to consider changing your objectives a little bit. Instead of getting people to sign up to go have fun together outside of work, make sure that the events are helping people build relationships — helping them connect with people they don’t normally talk to — because if we all go to happy hour and we all just talk to the normal people we talk to, it isn’t improving your culture. So if you are doing fun stuff, make sure you’re getting the best out of it by making sure that you’re encouraging people to talk to people they don’t normally interact with. Okay, back to the topic at hand. See, culture is actually the collection of beliefs on your team. Don’t worry, I’m not going to go all hippy dippy here and ask you to start meditating or saying namaste day to each other. But culture is still the beliefs that your team has about what it’s like to work there. Their beliefs about your leadership. Their beliefs about what matters. It’s the beliefs about how they act, how they work, and how they build relationships. Those shape the way we treat each other. If I were to meet you and I thought, hey, this is someone pretty awesome. If my belief about you was that you were a good person and I thought I wanted to get to know you, I would act a certain way. If my belief about you was that you were out to get me or that you were somebody who was … you know, not so fun to be around, then I would treat you a different way. I like to think of those beliefs as stories. The stories we tell at work, the stories we tell ourselves (and sometimes we tell each other at work) are our beliefs. They impact the way we choose to act, the way we choose to work and the relationships we commit to at work. The stories that we tell each other become the culture of the company. What is their story about their first day at work or their first week? What are their beliefs about performance reviews? What are their beliefs about speaking up in meetings and contributing their best ideas to projects? Do you know what they’re telling each other? Do you know what you’re telling your new hires or even what they’re telling themselves? Because all of those things are being played out in the team culture. When it comes time to sit down in a meeting and contribute, when it comes to showing up for a performance conversation and saying, “I’m invested in this because this is about making me better.” All of those stories are ultimately what shape and drive your culture. Now, I’m not saying that you need to just basically go and create a whole new world of storytelling at work. There are a lot of storytelling folks out there who focus on brand and marketing storytelling, which is really about controlling the narrative. No, no. That’s not what I’m suggesting here. It’s not about attempting to control it. Is It Effective To Try To Guide Or Control The Stories That Get Passed Around? I’m not telling you to control your culture or control your narrative. In fact, I don’t think you can. What I’m saying is, as a leader, as a manager, as somebody who wants to make a difference, you have the power and the ability to fuel a different kind of story, and when you fuel that different kind of story, you create a different set of beliefs which creates a different set of actions from your team and those sorts of actions. You probably guessed it: those create your culture. The way we decide to show up every day is the culture. Some of that is based on how we see leaders around us responding and behaving. A lot of it is based on what the expectations are every day about how you interact with each other. So if you’re a leader and you’ve been thinking, “Hey, I want to start thinking about culture in a different way. But we can’t get the insurance to do a slip and slide through the grassy area outside of the office.” Well, you don’t need to do any of that. In fact I wouldn’t recommend it. It even sounds a little weird and creepy. What you can do is start to source the positive stories that your team is already telling. How often do you ask and listen to and document what’s really going on with team members (outside of an annual employee engagement survey)? How often do you look for the common variables and the stories they tell? What do you believe leadership cares about here? What do you think matters most here? Or how do you think people get ahead in this organization? You can use the stories that you hear to start to uncover common trends in your culture. Then you’ll see a maybe not so surprising thing (because you’re on a strengths-focused website, after all) — you’ll start to recognize the strengths of your team. You’ll start to see what your culture is strong at. You’ll start to see what your leaders are strong at. I’d imagine that those start to look like things that you would have found in a StrengthsFinder assessment. You’ll start to see ideas and words resonating. If your team is all about taking action, you’re going to notice that your team is all about moving forward and not stopping to consider lots of options. You’re going to see that and you’re going to recognize that as one of the strengths that people have. What’s interesting is that you can also use those to start to develop a clearer story for your culture. Once you understand what the strengths of your team (and the strengths of your overall culture) are, then you can get specific about telling more stories like that. You can start to use that information for interviews and 1×1 and team conversations. You can even use the information to help you set customer expectations. Leveraging your strengths gives you a really interesting opportunity to create a new kind of culture. So let’s go back to culture for just a minute to look at how it morphs in clusters. When you think about culture, a lot of times what happens is that we think of this big, big culture of the entire organization. That might be true if you’re working for a small company where there are only 20 of you. Then yes, the culture of the team is probably the culture of the company and I would argue that the culture of a 20-employee team probably matches up pretty closely with how the founder believes and thinks and acts. As a company gets bigger and bigger and you start to go into national and global territory with the hundreds or thousands of employees. You start to see that cultures get pocketed. There’s a chapter in the Company Culture for Dummies book where I talk about cultural pockets and I show how even in a huge organization there are all of these little cultures that exist. You have the ability to create a culture pocket for the way that your team interacts. You don’t have to worry about having perks and happy hours and food trucks outside of your office every day in order to get top talent and be known as a great place to work. You know, Lisa always says that differences are differentiators and I can’t agree more when it comes to culture. If you start to use the stories of the strengths of your team, you’ll start to see the differences on your team. You know, Apple is a very different place to work than Google. Both are interesting companies creating cool new products and services, but it feels very different to work at each place. They both have cool offices and perks and benefits, but it feels different to work there. The digital component of Disney feels very different than working at Netflix. Why? Because of culture. At the end of the day, the three weeks of vacation, the ping pong tables, the catered lunches — those don’t necessarily drive the experience with each other. These perks don’t change the relationships or the stories that we have about our coworkers, our manager, or the work we do. These perks are easy to copy and if perks were all that it took to build a great culture, then everyone could do it. By leveraging your strengths to tell new kinds of stories about your team and the way you work, you can start to find the thread of your culture and then you can leverage it, communicate it and double down on it so that you can get the kind of people on your team who can help it grow. Whether you’re a team of 10 or you’re a company of thousands, leveraging those parts of your strengths to create new stories will drive your culture. Look, you don’t have to treat people like preschoolers who need to be tickled, entertained, and fed every hour to have a great culture. It’s about diving in, listening to the stories, promoting those stories of your existing strengths – and creating new ones over time. As a leader, your job is to find stories based on the strengths of your team and the group. That allows you to pull out the threads of awesomeness and build on what already comes easily to your team. So go out there and start thinking about culture in a new way. You don’t need 5 tips, 7 Hacks, 9 habits — you don’t need any of that. What you need to do is start listening to the stories and changing the way your team works. Chat with Mike on Twitter about his Corgi, living in LA, or … oh yeah, team culture.